In a preface to this series, I explained that our faith in Jesus Christ as our Lord and Saviour is what unifies all Christians and that every Christian has a shared goal to become more like him. For Christianity essentially is not a belief system. It is a Person we follow, not a system. It is Christ, we follow, not a religion. Christ is, quoting S. M. Lockridge: “the loftiest idea in literature. He’s the highest personality in philosophy. He’s the fundamental doctrine of true theology.” Jesus is the truth, the way and the life (John 14:6); it is him we all love and therefore desire to put his commandments into practice. That’s what unites us. On another level, however, which is also important, what divides us is our theological persuasion, i.e. our interpretation of the Bible and our view of God and his plan of salvation for humanity. As we reason from Scripture, we sometimes come to different conclusions about what the authors meant. Now in many areas this is trivial, insignificant and superficial, such as the type of hymns, the organization of service, worship and ministries in the church, but in some areas, such as who God is and how he relates to mankind, teachings and beliefs can radically diverge, to such an extent that people won’t consider each other brother and sister in Christ anymore. This is not theological niggling or nitpicking over some minor details, this is a clash of different worldviews. And none is without its implications. Your theological persuasion will not only radically influence your interpretation of the Bible, but also your view of God, his church and the world. As you know, these different views can’t all be true at the same time. One extreme way of thinking about God’s providence that is upheld by a minority group of Christians is Calvinism. It is also commonly called Reformed Theology, although not all Reformers were associated with Calvinism. This religious philosophy is known for its distinctive doctrines of sovereign grace and God’s eternal predestination and pre-election of who will be saved. But its teachings are certainly not limited to the national Reformed churches. They’re upheld across denominations and generally taught by Presbyterians and Calvinist Baptists, but also (Evangelical) Lutherans, Dominican Catholics and the like. There are Calvinists of all sorts and sizes. There are many different branches, even in the Reformed Church alone, ranging from the sectarian and conservative to the more moderate and liberal churches, but they all endorse the concept of sovereign grace and unconditional election. Some believe Calvinism is the only true gospel, others rightfully understand it as tradition. Needless to say, accepting the gospel of Calvinism has also encouraged many Calvinists to come to genuine repentance and to put their faith in Christ as their Lord and Saviour. But we should not credit such fruits of the Spirit to the power of their theology. Frankly, in my experience, it is in spite of the distinctive doctrines of Calvinism that people have been saved. Sadly, many people in the Reformed Church do not know Christ intimately. What I would like to explore with you in this series is a debate that has been going on for a long long while between Calvinists and non-Calvinists regarding the role of God’s providence and man’s decision-making in salvation. Unlike other Christians, Calvinists believe that there is a pre-elected number of people, called the Elect, that God has loved particularly before the foundation of the world and has predestined to sovereignly draw to faith in him. Keep in mind that it is this what I refer to as “Calvinism”, which roughly comes down to the doctrinal views held by John Calvin himself. Not all Calvinists endorse the full story, some have added to the story, but don’t accuse me of misrepresentation, if I am using the Calvinistic trademark for a particular product of Calvin that you don’t support. For the goal of our series is not to misrepresent or destroy Calvinism or run its adherents down, but to show with love and respect that Calvinism is wrong in several respects and to offer the Calvinist a better, more Christian and more Biblical view that reveals the splendour of God’s providence, his unconditional love and his universal call to salvation. And I hope my Calvinist brothers and sisters who are watching now will hear me on this without prejudice. Of course, nobody’s understanding is perfect, so I am not so bold as to proclaim that I have the full understanding of the truth and that everyone who disagrees with me is necessarily wrong. I am not wise in my own eyes (Proverbs 3:7; Romans 11:25, 12:16), lest my folly put me to shame (Jeremiah 8:9; ; 1 Cor 8:2). But this is no excuse for intellectual laziness, we are called to love God with our mind. Surely, the fear of the Lord is the beginning of knowledge (Proverbs 1:7) and although it is the glory of God to conceal things, it is the glory of kings to search things out (Proverbs 25:2). So let my modest research be an encouragement to revere God’s power and love and to continue to study his Word. For the sad thing is that a Calvinist can’t say to a stranger, let alone their own children: “God loves you”, for they don’t know whether they belong to God’s elected few and it would certainly be unfair to them to say so if they don’t. What’s worse is when Calvinism is presented as the one true Gospel, someone who rejects these teachings is labelled reprobate. It is dreadful that this extreme way of thinking has led many people away from God. Whereas people speak of a resurgence of Calvinism in North America, in the Netherlands, where Reformed Theology took definite shape as the state religion, the total number of registered members of the Dutch Reformed Church has decreased from 43% of the population in 1899 to 12% in 2003. In Dutch, the term ‘Calvinistic’ unfortunately has become a pejorative for extreme strictness, prudishness and conservatism. The Reformed church had been fragmented into various denominations and many are emptying, because the preachers don’t preach the Lord Jesus Christ and thus many of its members don’t even know Christ or believe in his resurrection. 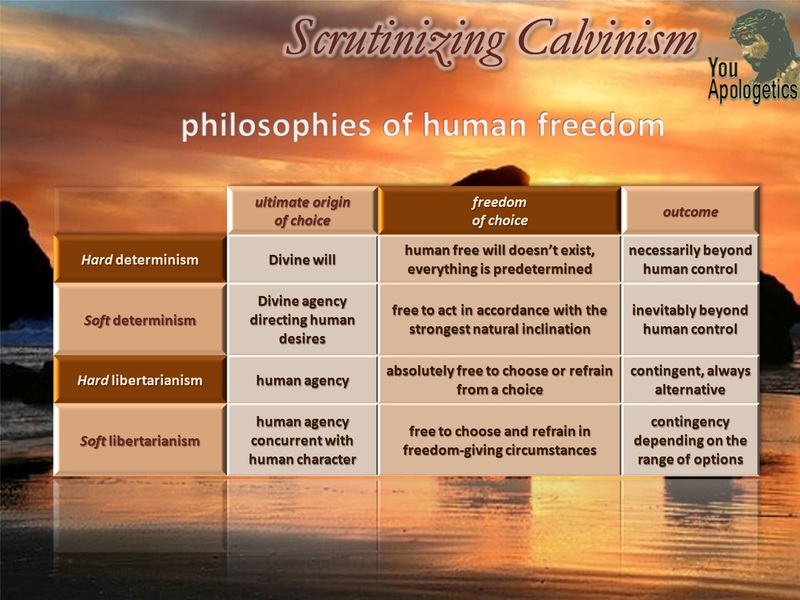 Often you won’t be able to argue with Calvinists on a subject like free will. You’ll be labelled Arminian without even knowing what this means. You’ll be accused of believing in salvation by works, diminishing God’s glory and being influenced by “humanistic” thinking. If you don’t accept their doctrines, sometimes you’ll be told you’re not spiritually born again and don’t know God and his gospel. Non-Calvinists aren’t as charming either. They have to deal with an image of being worldly, fickle and compliant. Often Calvinists won’t get a fair chance to discuss God’s providence either. As a Calvinist, you might be labelled a Gnostic without knowing what this means. You’ll be accused of sectarianism, reluctance in evangelism and turning God into a tyrant. Of course, these accusations don’t apply to most adherents of either view. And we need to give each other a fair chance to discuss our view on divine providence and human free will respectfully and constructively, so that we may learn from each other’s view and grow in our faith. Free Grace (Free Faith): a man is drowning and God throws him a rope; neither would the man say he saved himself or would God say I forced you to be saved. Of course, this illustration isn’t perfect, but it will stimulate your thinking on this subject. Calvinists say or actually fear that some form of human involvement in saving faith means that God will not be given all the glory that he deserves. That there is some credit in the free faith of people that glorifies the human being and diminishes the glory of God. But is this fear legitimate? Have you ever met someone who willingly received the gift of salvation in Jesus Christ yet glorified themselves instead of God who graciously offered it them? This is a general defence of the historicity of the empty tomb as well as a response to the YouTuber myintellectualjourny. Well, I hope you can appreciate it and that this clarifies my position. When it comes to the historicity of Jesus’ resurrection, most skeptics will cast doubt upon the general reliability of the Gospels and rest their case. Needless to say, their case normally hinges on some philosophical presuppositions biased against miracles and the supernatural or grounded in some theory that is without any plausibility and without a shred of evidential support, such as the conspiracy theory or apparent death theory. Such forms of scepticism turn out to be at best question begging or a feeble attempt at humour. However, a historical case for Jesus’ resurrection doesn’t depend on my demonstration that the Gospels are generally trustworthy historical documents. Even if they were unreliable, they could still contain a historical core that the historian will be able to find properly using the methodology he has. Thus New Testament scholars have come to the conclusion that the following facts are historical, namely that Jesus Christ died on a Roman cross, that he was buried in a tomb by Joseph of Arimathea, that the tomb was found empty shortly after, that the apostles sincerely believed that the risen Christ really appeared to them bodily, such that some of them would die for their belief and, finally, that the apostles preached and testified to the resurrection in Jerusalem, where eyewitnesses were still alive. The case for the resurrection of Jesus depends on the established historicity of these facts and on its theoretical adequacy as the explanation inferred from these facts. One of these facts, the discovery of the empty tomb, I am going to discuss with you now. First of all, very early independent sources report Jesus’ burial. We have the sermons in the book of Acts and four independent historical biographies based on eyewitness testimony. They relate Jesus burial in a tomb by Joseph of Arimathea and the women’s discovery of the empty tomb on the first day of the week. The three synoptic Gospels and the book of Acts were most likely written independently within about 35 years after the events, far too early for legendary influences to wipe out the historical core. It is implausible that the figure Joseph of Arimathea is a legendary embellishment, for one because the Gospels are extremely polemic against the Jewish Council and rich people in general. But that’s not all, we also have an extremely early apostolic tradition that Paul quotes in 1 Corinthians 15, which probably goes back no later than the first five years after Jesus’ death. A formula or creed that Paul hadn’t made up himself, but had received as such from the apostles. Is this the same empty tomb tradition as we find elsewhere? Probably, it is. If we compare the creed in 1 Corinthians 15:3-5 with the sermon in Acts 13:28-31 and the narrative in Mark 15:37-16:7 (see image below), you’ll find that the correspondence of these independent attestations is sufficient to conclude that the Pre-Pauline creed is a summary of the core events, incl. Jesus’ burial in the tomb. 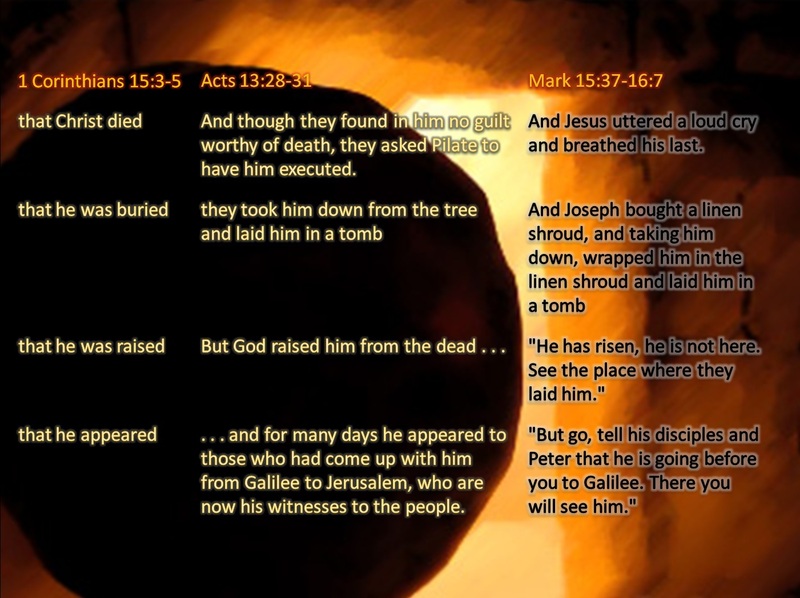 The fact that the tomb was empty is also implied by the statements “he was buried” and “he was raised on the third day”. But the emphasis is on the appearances of the risen Messiah. This tradition doesn’t simply proclaim the belief or profession that Jesus was raised from the dead, but also has the audacity to demand a verdict, as if it says: if you don’t believe it, ask these witnesses and make your own judgement. Interestingly, the first Jewish objections to Jesus’ resurrection didn’t deny the empty tomb, but claimed that the disciples stole his body. This is something we wouldn’t expect, if Jesus’ body was still there or, as MIJ seems to suggest, if they were at all ignorant of Jesus’ burial site. Instead of questioning the integrity or credibility of the apostles or asserting that Jesus’ body was still there in the grave, they openly accepted the fact that the tomb was found empty, but explained it differently by way of body theft. The idea that Jesus was buried in a criminals’ common graveyard cannot be substantiated and seems rather contrived to me. Indeed, if you want to avoid the early literary evidence of the family tomb, you will have to resort to some sort of conspiracy theory, which is the last thing a good historian would propose. There is also no good theological reason for a first century Jew to invent the burial in the tomb. If Jesus’ body was still in the grave, why wouldn’t anybody correct the disciples in their proclamation of Jesus’ resurrection? Especially knowing, as I said before, they proclaimed it in the very city of Jerusalem where Christ’s judgement execution and alleged resurrection occurred. Like MIJ, you might argue that his corpse was no longer identifiable. But this is actually false, since Jewish burial customs included excavating the bones of the deceased after a year and deposing them in an ossuary. So Jews would keep a close eye on every Jewish burial site, even in case of so-called criminals. COPYRIGHT © 2011 Life put in perspective by Harry Buckley. All rights reserved. The definition of atheism appears to be an issue for some atheists. This is because in reality they are agnostics who don’t know what they believe (pun intended). Atheists will often tell you that there are two varieties of atheism: strong or positive atheism and weak or negative atheism. But if we don’t first define atheism, this distinction is meaningless. Only then we can add attributes such as strong or weak. So what is atheism? Atheism is the negative or denial of theism: the existence of God. Thus the atheist holds to a specific view, s/he takes a specific standpoint in a discussion, s/he makes a knowledge claim, namely that God does not exist. In a debate between a theist and an atheist about the existence of God, the atheist takes the side that contradicts the question. Just as there are varieties of theism, such as Christian, Jewish or Muslim theism, there are varieties of atheism, such as Hegelian, humanistic or naturalistic atheism. So note that atheism doesn’t necessarily imply naturalism, the denial of the supernatural. Naturalism is necessarily atheism, but atheism is not necessarily naturalism. An Hegelian atheist, for example, believes in a world spirit, a supernatural reality that is manifested in the collective products of the human mind, such as art, culture and philosophy. Yet he denies the existence of a personal, all-powerful, all-loving and morally perfect Creator, which is theism. Contrary to what some people will make you believe, atheism is not the lack of belief in God or something like the default position. That’s rather agnosticism. An agnostic simply doesn’t know whether God exists. Let’s define knowledge as justified true belief. If knowledge is justified belief in the truth, then a lack of knowledge is consequently a lack of belief. Knowledge is necessarily belief. Without belief you can’t have knowledge. Disbelief is a form of uncertainty or doubt with respect to the truth. Always take this distinction into account. Note that, while a skeptic simply doesn’t believe in the proposition: God exists, an atheist has justified belief in the falsehood of this proposition, s/he knows that the proposition “God exists” is false and thus asserts that its negative “God does not exist” is true. Strong or weak atheism, then, does not depend on the degree of certainty, but on the justification. 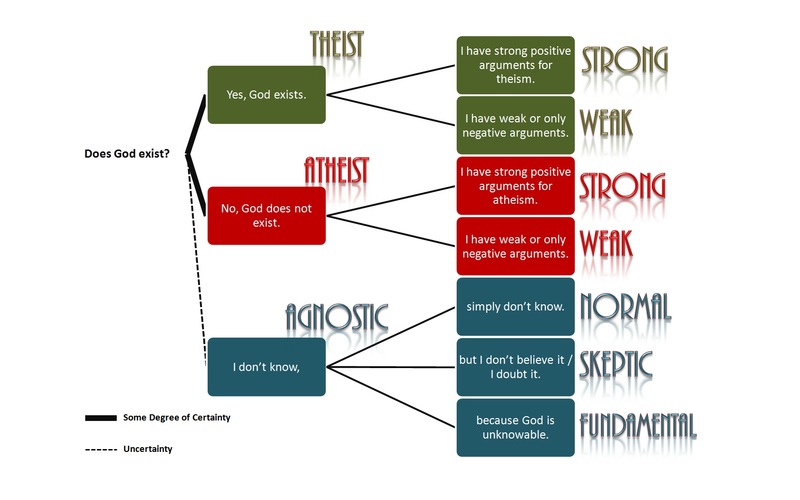 A strong atheist has strong, positive arguments for his belief, a weak or negative atheist has no or little justification, but only demolishes the arguments of the theist (which doesn’t make atheism stronger, but only makes theism weaker). At any rate, whether weak or strong, an atheist still makes a knowledge claim, an agnostic or skeptic doesn’t. In the first part, I’ve discussed some passages that affirm the deity of Christ in the most literal sense. In this sequel, I will continue my discussion with some passages in the writings traditionally attributed to the apostle John. John’s writings are known for their emphasis on the divine credentials of the Christ as the Son of God. If there ever was an apostle that believed Jesus was God incarnate, without doubt it would be John. In no other gospel but the gospel of John, the deity of Christ is described so unequivocally that many skeptics doubt the authenticity of passages such as chapter 8, 10 and 17. Which in Greek reads: Ἐν ἀρχῇ ἦν ὁ λόγος καὶ ὁ λόγος ἦν πρὸς τὸν θεόν. Most scholars agree that this passage καὶ θεὸς ἦν ὁ λόγος does not mean ”and the Word was a god” and that theos should not be taken as indefinite, unless you want to argue that John was a polytheist. So this option clearly is out. Now some argue that a definite reading would suggest that Jesus Christ be taken personally identical with the Father, i.e. “Jesus = the Father”. Yet, frankly, this implication is a trivial one, for we don’t find an article with reference to the Father either, for instance, in John 1:18, 3:2 and 8:54 etc. and, as you’ve seen in Part 1, we do find an article with reference to Jesus in other verses identifying Jesus as “God”. Moreover, considering the preceding clause “the Word was with God”, the personal distinction between the Father and the Word could still be preserved, even if one should read “and the Word was God”1. But should the omission of the article incline us to read theos qualitatively, it would only serve to confirm again the idea that Jesus was fully God, one in divine essence with the Father (John 10:27). For the absence of the article as well as the fronting of the noun theos could indicate that a qualitative meaning or a more abstract nuance was intended, as most scholars assert. In that case theos would suggest that the Word was not just “divine”, but the same as God in nature, i.e. one in essence with the Father, but distinct in person (as is suggested by the preceding “the Word was with God,” i.e. the Father). So, in that case, a better translation would be “and the Logos was God in essence” or as the New English Bible (1961) puts it “And what God was, the Word was”. So whether we read it as definite or qualitative, either reading would constitute John’s confession that Jesus was God, which in light of his gospel as well as his other writings seems to make perfectly sense. There are some textual variants that show the article was added later, but this is far from evidence for the extrapolation that the text was corrupted by Trinitarians in defence against Arianism. For 1) Arius never contested that Jesus was God, but defended the idea that Jesus was a created being, which the presence of any article would not necessarily disprove, and 2) it could be misunderstood to make Jesus personally identical with the Father, which is not what Trinitarians believe. This climactic confession of faith by doubting Thomas after touching the risen Lord is an unmistakable affirmation that Jesus revealed himself as both Lord and God. We find the same wording throughout the Bible in, for example, Deut 6:13 “It is the LORD your God (lit. YHWH, your God) you shall fear”, 2 Sam 7:22 “Therefore you are great, O Lord God (lit. O Lord, YHWH). For there is none like you, and there is no God besides you” Ps 35:23 “My Lord and my God”, Rev 4:11 “Worthy are you, our Lord and God” etc. There are no textual problems here and this verse so explicitly proclaims Jesus as God that it requires no further discussion, but may it continue to amaze us. The question here is what person the pronoun houtos rendered “he” or “this” refers to. Grammatically, it is ambiguous: although Jesus Christ would be the closest preceding referent, it could still refer to the Father. Contextually, however, the predicate “eternal life” is never used with the Father and John applies it like logos as a personification of Jesus Christ. Yes, both the Father and the Son have life (John 5:26, 6:27), but only the Son is eternal life. For John begins his letter with a wording very similar to the first words of his gospel: “That which was from the beginning, which we have heard, which we have seen with our eyes, which we looked upon and have touched with our hands, concerning the word of life— the life was made manifest, and we have seen it, and testify to it and proclaim to you the eternal life, which was with the Father and was made manifest to us (1 John 1:1-2).” And earlier in this chapter, John identifies the eternal life with the Son, distinct from the Father: “And this is the testimony, that God gave us eternal life, and this life is in his Son.” (1 John 5:11) Therefore, the final predicates of this verse “the true God and eternal life” constitute another strong and remarkable affirmation of the deity of our Lord and God, Jesus Christ. 1. “the Word was God” could also be understood in the sense of property (like the qualitative reading), not of identity, like “Charles is king”, i.e. Charles has the property of kingship, such that “the Word was God” could make perfectly sense as the Word has the property of divinity. Previous page. Page 2 of 2. COPYRIGHT © 2010 Life put in perspective by Harry Buckley. All rights reserved. Muslims, Jehovah’s witnesses and anyone else to whom the doctrine of Christ’s divinity is a stone of stumbling continually accuse Christians of the deification of a mere created person. They will try to show that the earliest New Testament manuscripts were corrupted to conform to the doctrine of the council of Nicaea (325 AD) that declared Jesus to be one in essence with God, the Father. Does the Bible say that Jesus is God? Even though the answer is straightforward for most orthodox Christians, I think this is a legitimate question that needs to be addressed. Before we can assess this, we must critically examine what the Bible says. So the question is: Do the earliest manuscripts demonstrate that Jesus is God, i.e. theos, or was it added to the Bible later by Trinitarians? One of the reasons why this is an important question is that Christianity is all about Christ: how Christ is presented in the Bible marks out our Christian faith. Yet even if I should fail to provide any overtly explicit statements that Jesus was theos meaning ‘God’, this still wouldn’t mean that the Trinity is an unbiblical doctrine and should be abandoned. It may well be that Jesus made undeniable implicit or oblique claims to divine status, which I believe is the case, but our quest will be rather for explicit claims. For it is these claims that most skeptics cast doubt upon. First of all, we must acknowledge that Jesus never used theos meaning ‘God’ to refer to himself. For, although Jesus may have called himself the Son of God, whatever that may mean, He never used theos ‘God’ directly. He even distinguishes himself from God in several passages such as the well-known cry from the cross: “My God, my God, why have you forsaken me?” And even Paul, who believed Jesus was God, confirms this distinction in, for example, Eph 1:17, which reads “the God of our Lord Jesus Christ, the Father of glory”. Moreover, we don’t find any theos claims either in the synoptic gospels or in the apostles’ preaching in the book of Acts. So we have to look in other sources. The idea skeptics tend to defend is that the early church altered the Biblical manuscripts to make sure it agreed with their Trinitarian understanding of the relationship between Jesus Christ and the Father. Though we can’t deny that such practices may have occurred, it doesn’t follow that all direct theos claims we might find must be the result of corruption. After all, prior to the Arian controversy in the 4th century, early church fathers explicitly professed the deity of Christ. They must have concluded this from a certain authority other than the council of Nicaea. One of the possible earliest confessions of Jesus’ being called theos is the passage of Romans 9:5.
there is no contextual-psychological explanation for the insertion of a doxology to the Father. Since it is a lament about Paul’s kinsmen rejecting the Messiah, a climactic doxology to Christ would be more likely. Objections to this syndetic reading could be that Paul never designates theos to Christ elsewhere and that in the light of what we know of Paul’s doxologies, an equation of Christ’s glory with that of the Father would be improbable. So, in short, taking the doxology together with Christ would be grammatically as well as contextually the most plausible reading, but theologically the most implausible. However, the alleged theological uniqueness of this theos designation to Christ is questionable. The final part in Greek: ἐπιφάνειαν τῆς δόξης τοῦ μεγάλου θεοῦ καὶ σωτῆρος ἡμῶν Ἰησοῦ Χριστοῦ. There are no significant discrepancies between textual variants for this verse. Moreover, the essential unity of the titles God, Saviour and Jesus Christ in this passage is grammatically, textually and contextually unmistakable. First of all, in the Greek, both the initial article of tou and the final pronoun hemon in Greek enclose the unity of “great God and Savior”, which is again combined with the following apposition “Jesus Christ” through case agreement. (This copulative construction is found quite often, cf. Revevelations 1:6, but also 2 Corinthians 1:3, Luke 20:37). If it weren’t about one and the same person, we would definitely expect an article after the conjunction. Lastly, even though, throughout Paul’s epistle to Titus, the title soter meaning “Saviour” is taken together interchangeably with both God (1:3, 2:10, 3:4) and Jesus Christ (1:4, 3:6), the concurrence of epipháneia meaning “appearance” and “Jesus Christ” has many parallels in Paul’s letters, cf. esp. 2 Tim. 1:10 “the appearing of our Savior, Christ Jesus” and 1 Tim. 6:14 “the appearing of our Lord Jesus Christ”. Here the writer of Hebrews quotes a royal Psalm, Psalm 45:6-7 from the LXX (44:7-8). There is an early textual variant that reads rhábdos tês basileías autoû meaning “the sceptre of his kingdom” instead of “your kingdom”, in which case other variants could have been corrected to correspond with the LXX and thus one should render the first part of the quotation with God as the subject something like “Your throne is God forever and ever, the sceptre of uprightness is the sceptre of his kingdom.” But grammatically this would imply a shift from the third to the second person in the next sentence, which would be odd. Contextually, God as the throne of the Son would either imply that God gives up his throne, which doesn’t make sense at all, for Yahweh was believed to be enthroned forever (Ps 102:12) and the Messiah sat down at the right hand of God’s throne (Hebrews 1:3, 12:2), or it would imply that God has final authority over the Son, which could also be said of any angel, whereas this passage is about the supremacy of the Son, being “the radiance of the glory of God and the exact imprint of his nature” (1:3) and “much superior to the angels” (1:4). So, together with the external evidence, the standard reading with sou meaning “your” is to be preferred, making the unique Son of God coequal in sovereignty with God, the Father. It is not surprising that some take this very passage to be the source for the early veneration of the Messiah. Furthermore, there is a clear parallel here to Yahweh’s Messiah or ‘anointed one’ in Isaiah 61:1, which Jesus read out loud in the synagogue on the Sabbath in Luke 4, thus essentially professing that He was God. Moreover, in Hebrews 1:10, the writer of Hebrews continues his quotation chain with Psalm 102 from the LXX (Ps 101) with reference to the Son: “You, Lord, laid the foundation of the earth in the beginning, and the heavens are the work of your hands” thus practically equating him with Yahweh, the Creator of heaven and earth. 1. A doxology is an expression of praise. 2. Asyndetic means without a connector. 3. The reading that is the most difficult is more likely to be the correct one. B. M. Metzger, 1994. A Textual Commentary on the Greek New Testament. Wallace, D. B., 1995. The Article with Multiple Substantives Connected by Kaiv in the New Testament: Semantics and Significance. Ph.D. dissertation, Dallas Theological Seminary. Next page. Page 1 of 2.